Home › Membership Drive › Fall Membership Drive is happening now! Fall Membership Drive is happening now! We produce the show for love of the music, but love by itself won’t pay the bills. That’s why we come to you, our listeners, twice a year and ask you to pledge your support for This Great White North and Austin community radio by making a donation to KOOP Radio. 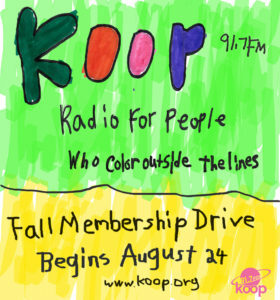 As a community radio station, KOOP survives (and thrives!) only as long as our listeners continue their support. In fact, more than 92% of our budget comes from the generous support of our community. Our next three shows will be full of independent Canadian music and appeals for your support—please make a contribution to KOOP Radio today so we can continue to bring you the latest and greatest Canadian indie, along with all the other unique and essential programming that KOOP brings to the Austin community. We’ve got some great gifts for donors! 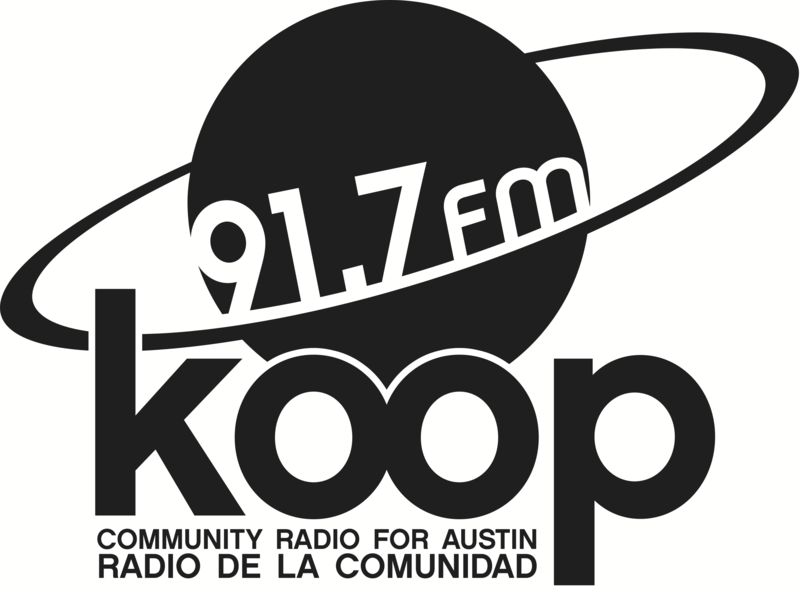 Head over to KOOP.org to show your support now or call us at 512 472-KOOP while we’re on the air (Fridays, 4:30 to 6:00 PM Central)!